The great thing about decorating a playroom is that you're allowed to let your imagination run free. From the floors to the ceiling—the entire area is a great place to build your child's imagination, so don't hold back on bright colors and flashy furniture that will help stimulate mental development. The walls serve as a good venue for decorating and hanging little what-nots here and there. They take up much less space and are easy to install. However, you might consider taking it one step further than dressing the walls up in themed wallpaper. For instance, you can install a couple of games or chalkboard paper on them that kids are sure to enjoy. Granted, it's not the first thing that comes to mind when you think "playroom walls", but it actually does make sense. Thinking outside the box (i.e. finding enjoyment in surprisingly common places) will help trigger a child's imagination, as well as help him develop critical thinking skills. Anatex is a good company dedicated to producing toys for children that help them think. Aside from offering hours of fun immersed in their products, Anatex toys develop strategy, logic, and cause-and-effect. They also provide wall panels, which are creative toys that can be installed directly on your playroom wall with minimal or no hassle. Another great thing about Anatex wall panels is that they were designed to be mounted in playrooms with very young children—no loose pieces, easy installation, and easy to operate. The Anatex Blowfish Mirror Wall Panel is an ingenious toy that plays with your reflection in such a fascinating way that it's known to captivate adults as well. The mirror works by changing your reflection to different positions—from upside down to right side up again, depending on how far you are from the mirror. Using this wall panel might also give you a chance to explain to your child how light and glass work together to form a reflection, providing an informative lesson on basic physics while having fun. Another mentally stimulating game from Anatex is the Anatex Busy Cube Tic Tac Toe Wall Panel. Tic tac toe is an ages old game, but presenting it early to young children will enhance their thinking skills. Putting it up on the wall is no problem, and the toy has no loose pieces that fall off and cause risk of choking. The wall panel works by having the child turn the cylinder for "X" or "O". For upping memory skills, the Anatex Busy Cube Traffic Memory Wall Panel serves the ultimate purpose. A fun addition to any playroom, engage your child in a "memory contest" by flipping and matching key images on the panel. It's a great game for adults as well, and is advantageous in helping your child's impressionable mind develop memory skills. Other wall panels that will help make your playroom the smart child hub are the Anatex Busy Cube Flipper Wall Panel, the Anatex Busy Cube Flipper Wall Panel, and the Anatex Magnet Express Wall Panel. Wallpapers are also great ways to stylize an ordinary playroom, and there are so many good ones to choose from. Ferm is a brand known for its beautiful graphic designs in interior design. On top of kitchen items, textiles, and an extensive kids collection, they also offer different kinds of unique playroom wallpapers and stickers that will push your child's imagination. 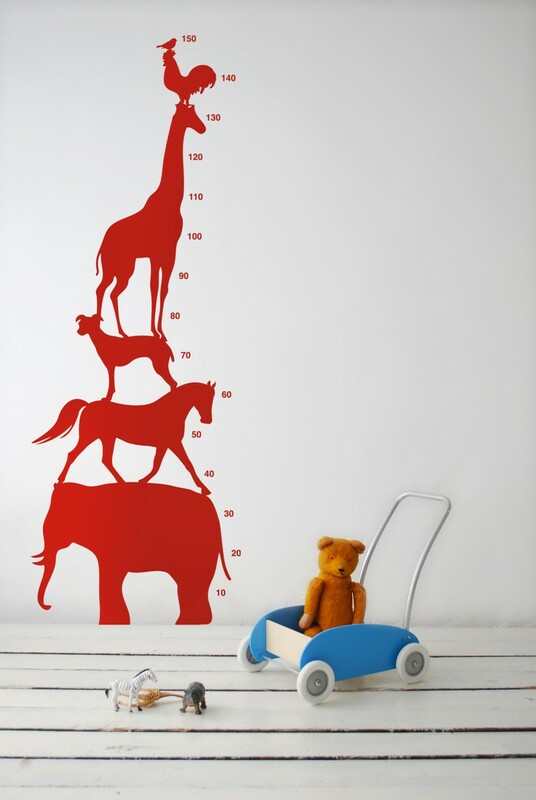 A noteworthy example is the Ferm Living Animal Tower Red Wall Stickers. Also available in green, blue and yellow, these wall stickers are made of vinyl and feature several animals stacked one on top of the other. A variant is the Ferm Living Animal Farm Wall Smart Wallpaper, which banks more on patterns as a design. Another different wallpaper design from the Ferm is the Ferm Living Black Butterflies Wall Stickers, which also comes in red. The wallpaper goes well with an outdoor themed playroom, and features a flurry of butterflies dancing across the walls. Children like to run and jump about, and filling a playroom with nothing else than hard-edged furniture just might be your worst idea yet. Playroom plushies such as beanie bags are great for young children, and serve both a practical and decorative purpose. When picking out lounge chairs for the playroom, make sure that they are not safety hazards to your kids. Check if the material is hypoallergenic and non-toxic, especially if you are housing a particularly hyperreactive child, as in the case of asthmatics. Also check on durability, for instance, beanie bags need to be checked for any weak spots in the seams, as constant use might eventually pull these apart and you're left with a mess to clean up—not to mention any untoward injuries. Beanie bags are one of Fatboy's specialty areas. Fatboy markets its products as "the ultimate lounging experience", and apparently, they have expanded to include typical playroom and nursery furniture. Their collection is quite extensive, with several colors to choose from and whimsical designs that'll get your creative juices flowing. The Fatboy Original Junior is a play on the Fatboy Original, only the former is aimed at a younger audience. This plushy bean bag comes in an array of vibrant colors that would go well with any playroom. The Fatboy Original Junior is extremely comfortable, supporting your child's weight and posture by following every little body contour. Whether your child needs a place to sit, lie on, or take a nap, this beanie baby is the must-have of every playroom. 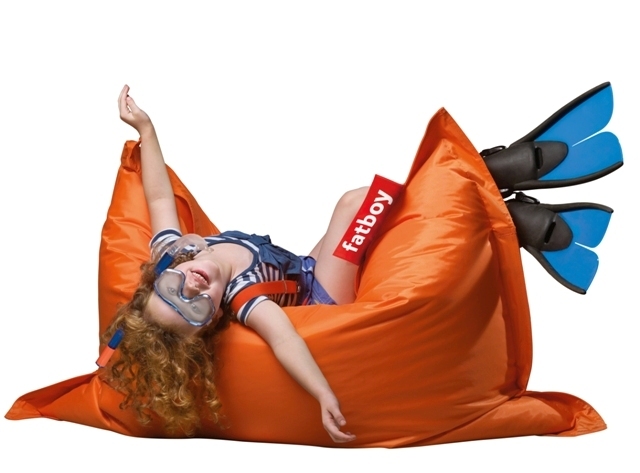 Another playroom plushy your kid will love is the Fatboy Buggle Up Lounge Bean Bag. This bean bag was designed for outdoor use, but can be placed in the playroom for regular use without worrying about wear and tear. The advantages of this particular plushy are numerous: water-resistant, UV protected (so the color doesn't fade as fast as other beanie bags), and easy to clean. It's also a lot larger than normal, and can fit more than one child. If you have more than one kid in your playroom who likes to rough house, consider getting this beanie bag instead of the regular one. For older kids, the Fatboy Heeademock Hammock is a good choice. It doesn't exactly count as a playroom plushy, but it does make a good place to lounge around in for more than one child. You can even include pillows from Ferm with one or two Ferm Living Bird Leaves Cushions. Popping in a couple of lounging furniture for mom and dad isn't such a bad idea either. There are times the playroom is all the more fun when a parent joins in, and fitting inside a kid-sized chair might be a problem. Babyletto is one of the recognized names in baby furniture, and provides everything you need in nurseries and playrooms—from cribs to dressers to rocking chairs. The line is often a good place to look for stylish, modern furniture, and if you wish to add a European contemporary ambiance to your playroom. The Babyletto Madison Swivel Glider comes in mocha and other similar color tones. This lounge chair allows you to get as comfortable as you can by swivelling in any which way. There's enough space for you to snuggle in with your child for a storytime session. Another similar lounge chair for mom in the playroom is Babyletto's Nara Glider in Ecru, which features several varying designs that will suit your taste. The Nara glider is a stylish addition to your playroom, as well as a good place to bond with your child. The well-cushioned high back is enough to provide all the comfort and support that you need.